Srinagar: Former Jammu and Kashmir chief ministers Omar Abdullah and Mehbooba Mufti have condemned the Lethpora militant attack that left over a dozen CRPF personnel dead and several others injured. Omar said that he condemns the attack in strongest possible terms. Mehbooba Mufti said that no words are enough to condemn the gruesome attack. 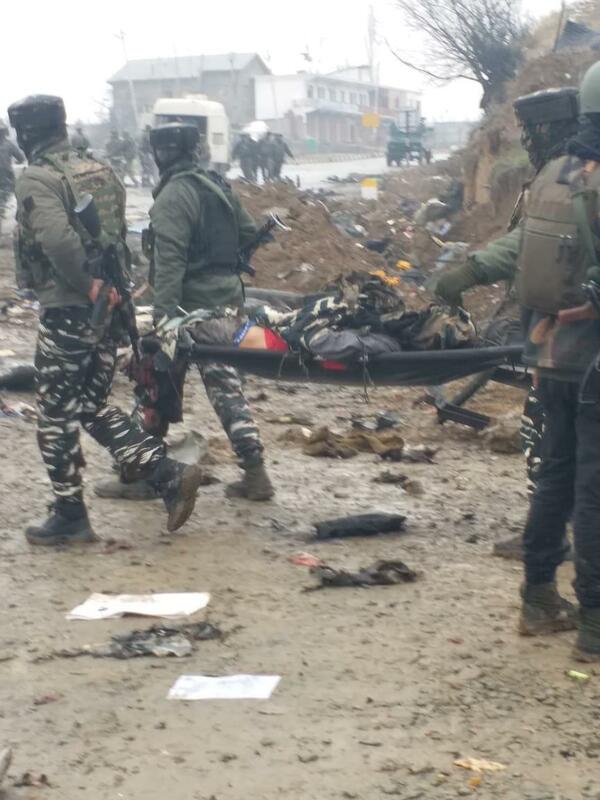 Jaish-e-Mohammad (JeM) militants outfit has claimed responsibility of the attack claiming that more than a dozen CRPF personnel were killed and several others injured. A JeM spokesperson Muhammad Hassan in a statement issued to a local news gathering agency said “dozens of forces’ vehicles were destroyed in the attack”.